10 Cutest Penguin Gifts You Need Now! Penguins are some of the most adorable birds around, so it’s no surprise that many people are obsessed with them. While you can’t have a penguin as a pet, there are plenty of penguin gifts available to delight any penguin lover. These gifts are perfect for kids or adults and work well as birthday, Christmas, or even anniversary gifts. 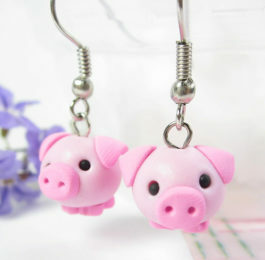 Check out our recommended gifts below, they range from the cute to the creative. And if you love penguins, you need to get these gifts for penguin lovers ASAP! You can’t have a penguin as a pet, but this is the closest thing! This adorable stuffed penguin is nearly 2 feet tall, making it a lifelike size. Handcrafted with accurate details, it is made to look like an emperor penguin. This stuffed animal makes a great gift for any child or adult who is obsessed with penguins. This is a romantic and heart warming gift any penguin lover will enjoy. When it’s time to mate, penguins will search the entire beach looking for the perfect pebble to give to their beloved as a token of their love. Now you can give the penguin fan in your life their own pebble. Custom made by Snobs Gifts, these cream pebbles come in a set of three. 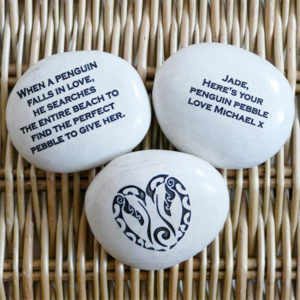 They are engraved with a beautiful image of a pair of penguins on one, the story of penguin pebbles on another, and a custom message on the third. 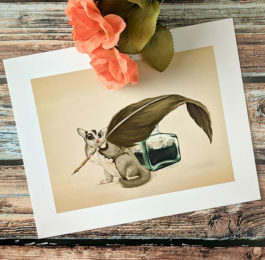 This completely original gift is great for weddings or anniversaries and really shows your love. Any coffee or tea drinker who loves penguins will really appreciate this gift. This ceramic mug features an adorable penguin illustration on the side and comes with a lid/saucer. This is the kind of mug that adds a little joy to anyone’s Monday morning routine. Plus, it’s dishwasher and microwave safe. Turn this into an unforgettable gift by adding some of their favorite coffee or tea. If you’re shopping for someone with a creative side, they’ll appreciate this penguin gift. 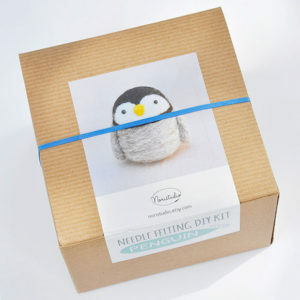 This adorable DIY kit comes with everything you need to make your own adorable felted Penguin. This kit is targeted at beginners, meaning it’s great for kids, teens, and adults. The finished penguins measures 2″ tall, perfect for display on a shelf or desk. 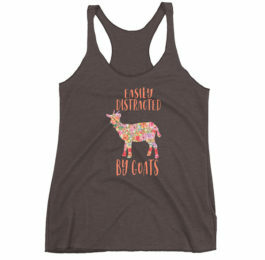 Looking for a back to school gift or a useful stocking stuffer? Check this out. These D-Clips paper clips are shaped like adorable little penguins. Perfect for school papers or getting organized in the office, these clips add a little penguin flair to mundane paperwork. These 1 inch paper clips come in a decorative box. Each box includes 30 little metal penguins. This is another tiny gift that makes a perfect penguin stocking stuffer. 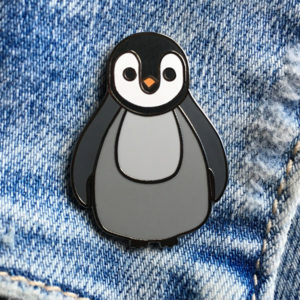 This adorable pin features a tiny penguin. This handmade pin is designed by Chameleon Wall Art and stands at 3cm tall. This makes the perfect gift for pin collectors or just to add a little penguin pizazz to a jacket or bag. If you’re shopping for a wine afficianado, this is the perfect penguin gift. This cute corkscrew is made in the shape of a penguin, with its little wings used to pull the cork out of a bottle of wine. Made from solid steal gears, this wine opener is not only cute, but functional and built to last. This corkscrew is 6.5 inches tall. If the penguin lover in your life is more of a beer drinker, check out this gift idea. This is a set of cute penguin pint glasses, eaching featuring ia different illustration of a pengiun. To take it up anotch, this set comes with four matching penguin coasters. Made in the USA. Add a six pack of their favorite beer and they’ll really love this gift. Socks are a very useful gift, but you can take that utilitarian present and turn it into an awwww-mazing gift! This pack of two crew socks has two adorable penguin designs. One pair is blue and the other gray, easy to match with any outfit. Fits women shoe sizes 9-11. Cozy, warm, and fashionable are all great words to describe this gift! This adorable scarf features a cute illustrated penguin print. Perfect for fall or winter weather, this is a practical gift that can really highlight a love of penguins. Plus it looks great too with any cool weather outfit.